I know it’s only October but to be perfectly honest, I am sooooo ready for the Holiday season! Christmastime brings out the absolute best of feelings and nothing compares to the classic movies and stories surrounding it. 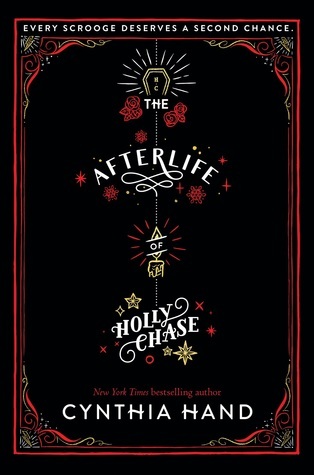 The Afterlife of Holly Chase takes a different and modern spin on a tale we all know so well, A Christmas Carol, and by the end my heart was filled with joy and excitement for the months to come! The whole idea of Project Scrooge was pretty fun to read about; a company who is dedicated to making the world a better place one grouch at a time. This was an actual company with all sorts of employees (alive and dead) and roles that played a part in the elaborate scheme and I just thought it was all so incredibly clever and well thought out. I loved all the little details on how it played off the original Dickens story, like the process of determining all the main players in the new Scrooge’s life – the Marley, tiny Tim, etc. There were quite a bit of Dickens references and I think readers will get a kick out of that. But then there were new modern twists thrown in like hoodies that make you invisible and electrodes used to read minds and enter memories. The old and the new all blended very well together. But Holly is a ghost (but in a sort of normal looking zombie way?) and her existence is quite lonely and sad. She is still flawed but in a more relatable way. You cannot help but root for her throughout the story, wishing she had a chance for something more. When she goes off script and falls for Ethan, things start to change around her with both Ethan and the company, putting the whole project in jeopardy. 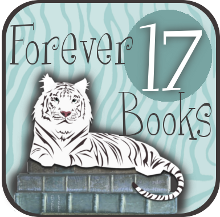 The story takes some twists and turns and by the end my heart was filled with joy with how it all came together. I smiled, shed some tears, and even found myself surprised a time or two with this one. Cynthia Hand has once again written a wonderful novel for many to enjoy. This is definitely one to check out to get you into the Christmas spirit! I didn’t know that this was a Christmas-themed book, but now I’ve got to try it out. It sounds so unique too, which isn’t always the case with YA. Thanks for putting this on my radar! I didn’t realize it at first just by glancing at the cover and title either. I assumed more Halloween-ish? I am excited for this one. I love the twist on the original tale, and I like Hand. Your review is making me want to bump this one up (I am still reading Oct releases – so far behind). I can’t wait for this book! I’m glad that you enjoyed it – it’s the first review I’ve actually seen for this. I wanted to read an ARC of it, but I don’t know if I can bring myself to read a Christmasy book in October, haha. 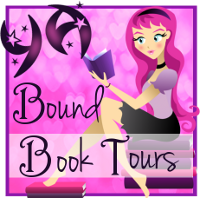 Kelly @ Here’s to Happy Endings recently posted…Blog Tour: Otherworld by Jason Segel and Kirsten Miller – Review and Giveaway! I think you’re the first person I’ve seen who has reviewed this so far and I’m so happy it ended up being really good! I’ve been on the fence about downloading it from Edelweiss just because I wasn’t sure if it would live up to the hype I have for it in my head haha. I didn’t want it to be just another retelling with no pizazz. Sounds like it was original and a great read to boot. I’ll definitely have to read it now!